Three years ago, I published an article about a photo story I’d found hiding away deep in the LIFE archives. 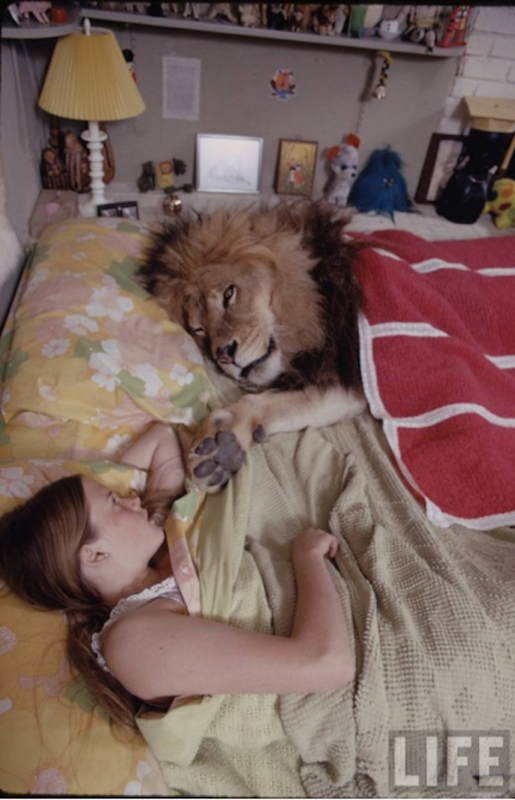 I saw it spread like wildfire on the internet; jaw-dropping photographs of Tippi Hedren and her family living with full-grown lions, including her daughter, a young Melanie Griffith who is the little girl pictured lying in bed with a lion and hanging out by the pool with her head in its mouth. 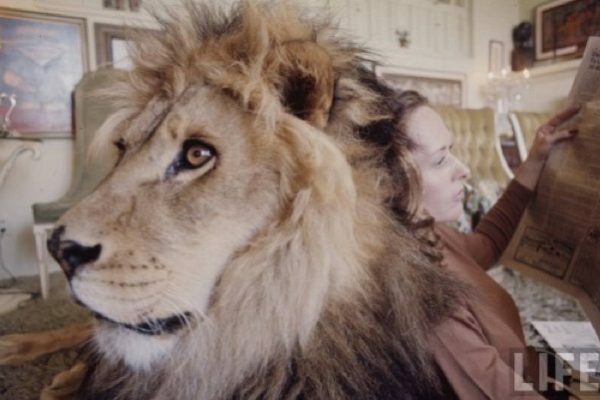 For 11 years, Tippi Hedren, her husband Noel Marshall (producer of “The Exorcist”) and their family lived with 150 untrained wild animals to produce and star in what became the “most dangerous film ever made” (you can learn the details of their living arrangements here). 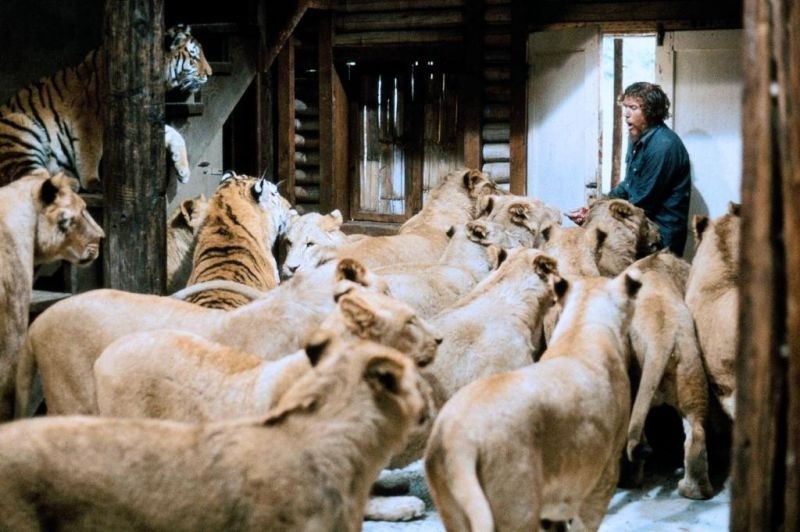 This week, I heard the news that Roar, a film which tanked at the box office back in 1981, disappeared into movie obscurity and was unavailable for many years, is finally being re-released in theatres this Spring, with Blu-ray/DVD/On Demand availability coming this summer. Other than some clever editing in parts, no special visual effects were used; lions were really fighting each other and people were really being tackled by lions. The risks and consequences were very real for the cast and crew and unfortunately, the blood was real at times, too. For example, in the following scene where Noel charges in to break up a fight between male lions, one of the lions bites his left hand at the 26 second mark. Noel shakes his hand and briefly looks at it but continues shooting. 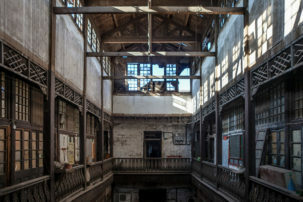 Over 70 crew members and actors were injured during the filming. 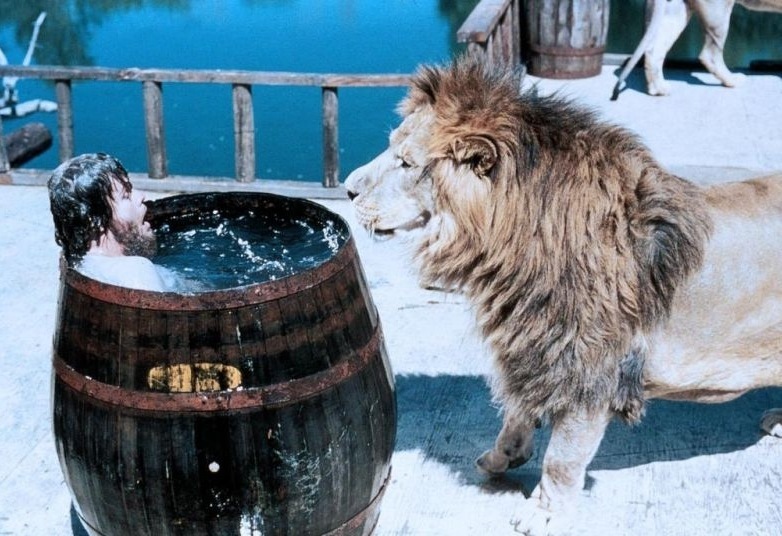 In the third week of shooting, the cinematographer, Jan DeBont was scalped by a lioness. After receiving over 200 stitches, he came back to the set in Soledad Canyon and continued with the film until it was finished. 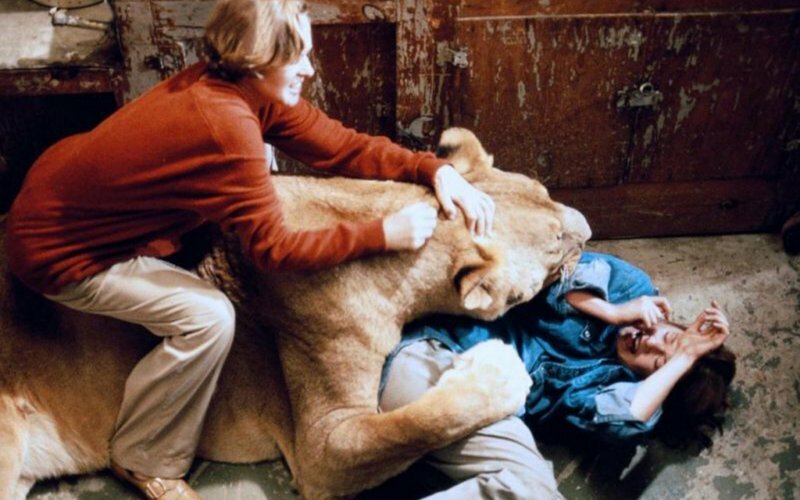 For the creator, writer and director of Roar, Noel Marshall suffered multiple puncture wounds that eventually gave him gangrene because of the bacteria found on lions’ teeth and claws. 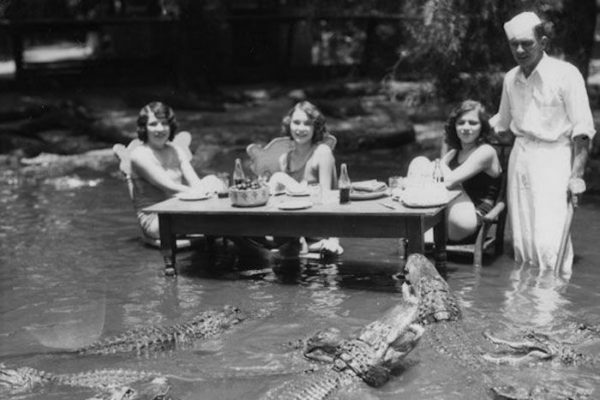 Roar‘s plot is based on a family who goes to visit their father Hank, (played by Marshall), who lives contentedly with his wild animals. One day his wife and kids (played by Hedren, Griffiths and other siblings) arrive to visit while their father is not at home– but all his animals are, and they’re in for one shocking experience. Website Dangerous Minds compares the film to a “bizarro-world live-action Disney film! This movie is totally captivating, comical, suspenseful, and terrifying. 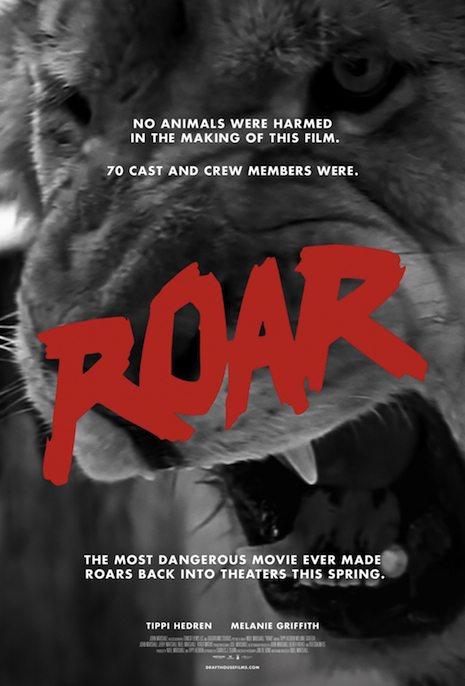 In short, Roar is nuts.” The site also interviewed Tim League, who secured the rights to re-release Roar, and has become somewhat of an expert on the film and its history. In the early stages of making Roar Melanie had actually quit production, saying she didn’t want to lose her face to the project. 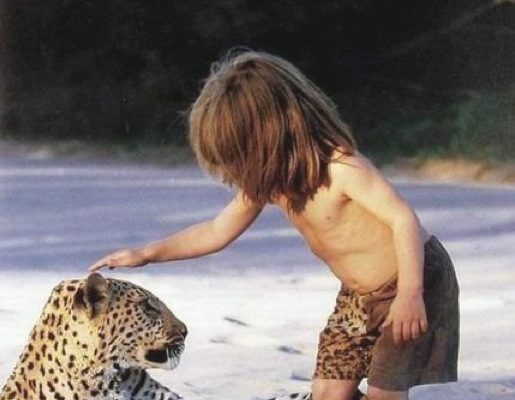 When she later came around and returned to filming, Melanie, then 19 years old at the time, was attacked by a lioness and needed 50 stitches to the face. Marshall and Hedren had initially created the project after a trip to Africa which prompted them to help communicate the plight of wild animals that were losing their natural habitat and being hunted for trade in fur and ivory. Does Roar get that message across? Then again, perhaps fear is exactly what we need to keep that respect for these animals and remind ourselves just who the king of the jungle really is. If you’re interested in seeing “Roar”, find the theatrical release information here and I’ll try to remind you when it comes out on Blu-ray/DVD/On Demand this summer. Discover the behind the scenes LIFE archive photos of living with the lions of Roar.